Rotating and balancing your tires are two separate jobs, and are independent of wheel alignment. While the jobs are often done at the same time, they can and regularly do get done independently of each other. It is generally recommended that you rotate your tires every 3,000 to 8,000 miles depending on your vehicle and driving conditions. It is recommended that you have your tires balanced every 4,000 to 6,000 miles, again depending on your vehicle and driving conditions. 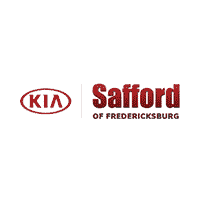 As always, please consult your owner’s manual or the skilled experts at our Fredericksburg Kia service center for recommendations on your specific make and model. Tire and wheel balancing is a process that compensates for weight imbalances between the wheel assembly and tire. Weights are placed on the wheel in order to “balance” the entire wheel & tire assembly to provide a smooth ride. Improperly balanced tires can put stress not only on the tire but on your suspension. This will affect the wear and longevity of your tires, as well as the components of your suspension system. Making sure your tires are balanced will not only improve your vehicle’s safety, but save you money in the long run. Tire rotation is an easy but important piece of vehicle maintenance that will improve vehicle performance, and save you money on tires over the long term. Rotating your tires at a regular interval can help even out wear from side to side and front to back. This will allow the tires to perform at their best, while also keep extending the life of the tires. The tires on your front axle generally experience very different stress, and perform different task than the tires on the rear axle. Those tasks and the loads will also vary dependent on your drivetrain; for instance, the stresses of a front-wheel drive vehicle (FWD) vs an all-wheel drive (AWD) are quite different. Those differences will determine how and how often you rotate your tires. Please check with your owner’s manual for the proper interval and rotation pattern for your vehicle.